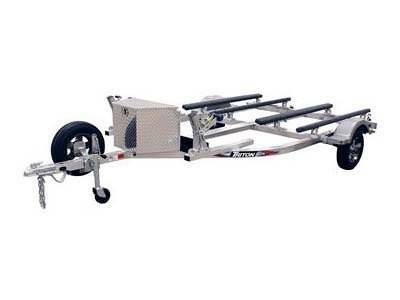 Triton's EliteWCII is a two place torsion axle aluminum trailer. It easily carries two of the largest three seater PWC's on the market. The broad amount of adjustability and quality components makes the EliteWCII a trailer that provides many years of worry free use.